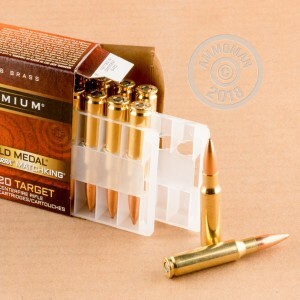 I have a Remington 700 VLS that loves this ammunition. Federal is extremely consistent and accurate. 500+ yard shots are on the money!!! Good accurate ammo I've got several .308 bolt guns and some really like this stuff. If you have accuracy issues then try the 175 grain, some rifles just like what that like even if you don't. If you can't or don't reload then this is a really good alternative for a reliable accurate round for target, long range, self defence from enemy steel plates 1000 yards away trying to flank your position, or even hunting. 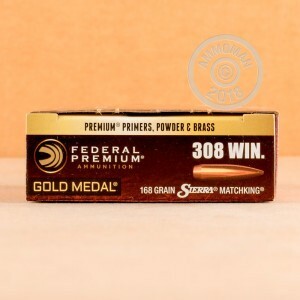 If you haven't shot this yet then buy 1 box before you buy bulk your rifle mite like the 175 grain. Buy one of each and see, you'll know what it likes more after you try em both. Good price and fast shipping. Thanks! 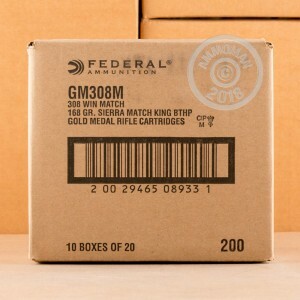 This is great ammo, shipping was fast at a fair price. Thanks!